A famed film producer of the upcoming Superman film, Man of Steel, Lloyd Phillips, 63, has died suddenly in Malibu, California. He passed away on January 28, 2013. Was it the Superman Curse? 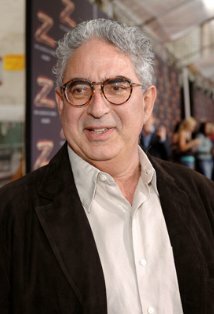 Phillips won an Oscar in 1981 for the short film, The Dollar Bottom; he was the first person from New Zealand to win an Academy Award. In recent years, he also produced several synchrocinematic films, including The Tourist (2010), Inglourious Basterds (2009), The International (2009), Legend of Zorro (2005), and Twelve Monkeys (1995). He was in pre-production on The Great Wall, a mystery thriller about the construction of the Great Wall of China, according to Variety and IMDb. 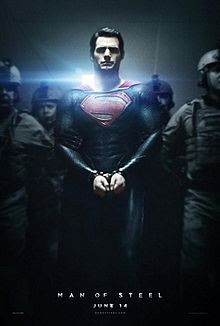 The forthcoming Superman movie, Man of Steel, due out June 14, 2013, is being directed by Zach Snyder. Could it be The Superman Curse again? The Superman Curse refers to a superstition that is based on a series of misfortunes that have plagued creative people involved in adaptations of Superman in various media, particularly actors who have played the role of Superman on film and television. 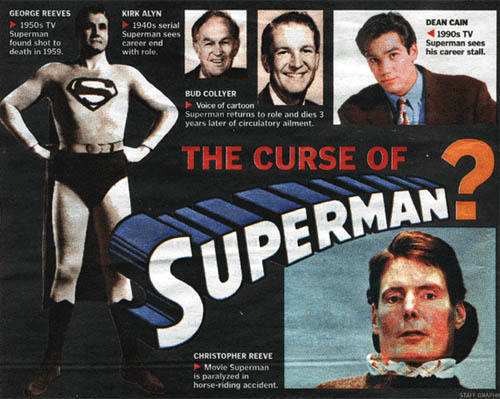 The "curse" is frequently associated with George Reeves, who starred in Adventures of Superman on television from 1952 to 1958, and died of a gunshot wound at age 45 under disputed circumstances (officially ruled a suicide); and Christopher Reeve, who played the superhero in four theatrical films from 1978 to 1987, was paralyzed in a 1995 horseback riding accident, and died nine years later at age 52. Source. Some say that television's original Superman, George Reeves died in an apparent suicide in 1959. Others made the claim the same hex struck Christopher Reeve, who soared to fame after first starring in the 1978 Superman movie. Whoever wrote the "Superman Curse" entry at Wikipedia did a remarkably good job of researching the subject, and discussing a greatly expanded list of individuals to which it may apply. These, besides George Reeves and Chris Reeve, were other Superman-linked people, including Bud Collyer, Lee Quigley, Kirk Alyn, Margot Kidder, Richard Pryor, and Dana Reeve. Several people were explored in the 2006 documentary, The Curse of Superman. Besides Lloyd Phillips who now will forever be linked to the curse, an unfortunate adolescent may be a candidate for the list too. In June 2007, a 13-year-old teenager's feet were severed above her ankles when cables snapped on the "Superman Tower of Power" ride at Six Flags Kentucky Kingdom in Louisville, Kentucky. The use of the word "curse" is often in the eye of the beholder. A curse can be blamed as the cause of as few as one death. Several significant "curses" are part of modern popular culture. The so-called "Poltergeist Curse" is based on only four deaths. The "Mothman Death Curse" is linked to well over 80 deaths. A study of the well-known "King Tutankhamun Curse" showed that of the 58 people who were present when the tomb and sarcophagus were opened, only eight died within a dozen years. Of course, no one explains how the tracking of all the Egyptian porters and locals occurred. Suppose the study group was only talking about the deaths of Europeans? Before my posting on the "Superman Curse," the bad luck and/or deaths of 9 people were directly linked to this "curse." I wrote of Lloyd Phillips on the 8th of February 2013, and added the fate of the 13-year-old severely injured on the Superman ride. A correspondent, R. Sullivan, commented below at this posting, writing: "Coincidentally, the make up artist Stuart Freeborn who was the make up artist for Superman, Superman II, Superman III and Superman IV passed away today as well." So are there 11 on the Superman list now? Phillips news: h/t to Mark Ordesky. Coincidentally, the make up artist Stuart Freeborn who was the make up artist for Superman, Superman II, Superman III and Superman IV passed away today aswell.